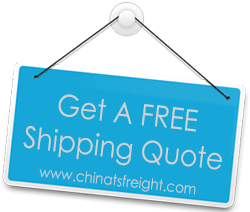 For over 10 years, TS Freight has been offering clients hassle-free import from China to Thailand via Sea and Air. Our experience and the quality that we demand from our partner carriers enable us to offer you impeccable international transport service between the two countries. Some of the top carriers on the transport route between China and Thailand are a part of our vast network, which means that we can offer you excellent prices for both Ocean and Air shipping packages. It is up to you to choose the mode of transport that suits you. Time-sensitive goods are best imported by air, while clients who want to lower costs can opt for ocean shipping. Whatever the mode of transport, our handlers and managers coordinate in perfect tandem with each other and take charge of your goods from the point of origin in China to the destination in Thailand. We import from most major Chinese cities including Shenzhen, Ningbo, Shanghai, Hong Kong, Qingdao, Tianjing etc and ship to most major cities in Thailand including Bangkok, Pattaya, Chiang Mai, Nonthaburi City etc. When you work with us, we take over the entire process of import and relieve you of the hassles. We arrange for pickup of your goods and bear all cataloging and packaging responsibilities from that point. Customs documentations are completed with little involvement on your part. Our handlers then load the cargo at the port or airport, and your goods are meticulously monitored while they are in transit. At the destination city our handlers receive the goods and finally deliver them to you. Our main objective is customer satisfaction. Call us and tell us your preferences for cargo shipping from China to Thailand, and we can help you choose a package that suits your budget and delivery deadlines.